Giving away Rs. 20,316 crores in the last 2 financial years, the media now addresses Mr Azim Premji as philanthropist instead of Wipro Chairman and IT Tycoon. As the years roll by, many firms are debuting the Social landscape apart from the traditional social veterans like Tata, Birla, Godrej and Singhania for whom it was a practiced ancestral custom. As they say, happiness shared is happiness doubled and now that the government believes in it too, being the first of it’s kind legislation in the world, has mandated prescribed companies to spare at least 2% of it’s profit for CSR activities through Companies Act, 2013. 1 Why indulge in CSR activities? Why indulge in CSR activities? Promoting sustainable environment and practicing ethical and responsible business. Microsoft Bill & Melinda Gates Foundation (BMGF) Famous for their belief in giving away half of their fortunes, the richest thriving couple on the planet, since it’s inception in 2000, has given away as much as $15billion ie 93,885 crores in today’s rupees for healthcare alone . Gates visited India last year and supported many NGO’s to eradicate poverty and shipped in tonnes of polio vaccines. Berkshire Hathway Buffett Foundation and BMGF Social entrepreneur and philanthropist buddy to Bill Gates, he contributes to BMGF. Apple Apple Foundation Supporting the environmental cause, Apple till date has been constantly working to help Mother Earth by making sure that their products consume less power. The average Apple product’s power consumption has come down by 57%. Apple has also eliminated the use of harmful toxins such as mercury, arsenic, BFR’s. 73% of it’s facilities are powered by renewable source of energy. The new Apple products are the recycled old disposed ones. Their carbon credit is still intact with a high score that they can sell it and still survive. BMW BMW Foundation Their creation, BMWi can run on electricity and can also act as a plug in hybrid vehicle to reduce CO2 emissions by atleast 50%. Per vehicle’s solvent consumption reduced by 45%, implemented efficient supply chain to cut on logistics being the highlights. Well, we are no less say the Indian socially active companies. 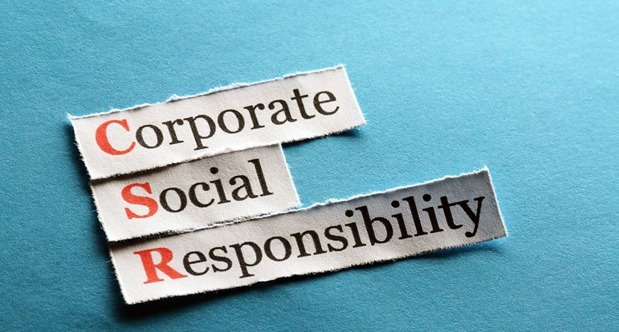 A recent study has found, the CSR activities in India may be 4 times USD 2.5 billion (ie over 15,000 crores), if all companies spend as per the new law as described under section 135. With the net profit criteria of just Rs. 5 crore, the government wants to ensure even the medium sized firms are ushered into CSR. A company can be exempted from it if in3 consecutive years, it fails to meet any of the above mentioned criteria. The CSR Committee has to ensure that the company spends at least 2% of the average net profits made during the immediately preceding financial year. The company should also bring out an annual CSR report along with it’s Financials and Annual Reports. Tata motors TGAA, TAAP and TBEM Healthcare and education provided to more than 37,000 children, eradicating social inequalities, contributed Rs.4.5 crores for Uttarakhand Flood relief and rehabilitation. In this list we have been talking about the top donors, but let’s not forget that every penny gone towards a social cause matters and is in no way insignificant. We have to laud every organization that does it’s bit to the society’s betterment. CSR is a noble thought that shows the goodness of being selfless. As a very proficient guru said, a tricky fact about money is – Money in the hands of good people grows and generates more money. It makes rather no sense for one to talk about donating money when he/she can’t earn enough of it. As a moral citizen, it’s our responsibility to revamp our standard of living and make enough money. One should not confuse this with greed. If you look at it symbolically, money is like the beach sand, the more you clench it in your palms, the more slips out, so instead keep your palms open so that you can give more.